When I was eighteen, my grandfather took me to raid a dead man’s library. A lifelong bachelor, the deceased had left my grandfather to liquidate his belongings, and I was told to take whatever I liked. Entering that basement apartment in Ottawa, where the man had lived for forty years, I felt an overwhelming isolation. Stacks of books teetered everywhere in those few frigid rooms. A thin mattress on a pullout bed held one restless indentation. Obituaries of silent-film actors were Scotch-taped to the walls. I gathered up several boxes of books, and made off as quickly as possible. The change has been rapid: by 1950, more than half of all deaths in Canada took place in hospitals, up from 30 percent in 1930. In 1994, that figure finally peaked, at 77.3 percent. But instead of learning to “cope with the constraints of our biology,” Gawande argues, we continue to chase the hopeless fantasy of immortality. As he writes, “the default is: Do something. Fix something.” Few of us are able to recognize when enough is enough. The upshot is that any real-life encounter with death is regarded as a tragic aberration—and just as a sheltered upbringing might lead to poor street sense, so we seem to lack good death sense. What’s more, we have ghettoized the dying in our medical complexes, making it easier than ever to ignore the inevitable. We don’t know what to plan for, nor whose example to follow. Meanwhile, we sleepwalk toward the hospital. Enter the literature of death and dying, here to awaken us. Forming a personal bond with mortality is probably the only way to begin the reckoning that might prepare us to die well, and the genre seems to be predicated on the idea that the more we contemplate death, the better prepared for it we’ll be. In the West, the genre originates in Ars moriendi—“The Art of Dying”—two Latin texts that emerged in the fifteenth century, in the aftermath of the Black Death. One of the first books printed with movable type, Ars moriendi initiated a popular tradition of practical instruction on how to die a good Christian death and secure a place in heaven. “For what folly can be imagined greater than to neglect that Art, on which depend our highest and eternal interests? ” asks St. Robert Bellarmine in The Art of Dying Well (1619). The medicalization of death in the twentieth century corresponded to the rise of secularism, which finds no solace in dreams of eternity, and the latter half of the century witnessed the emergence of a secular death-and-dying literature. Like the self-help genre, which rushed in to satisfy those seeking guidance outside the confines of the church, these secular books offer something similar to what Ars moriendi once did, but without the trappings of faith. Medical science has gotten better at postponing the inevitable since 1969, and yet, in Kübler-Ross’s parlance, we’ve stalled in denial. More than ever, we seem to need books like Gawande’s, which question medicine’s death-denying imperative and urge us toward acceptance. For Gawande, this revolution begins at the top. “People die only once,” writes the surgeon. “They have no experience to draw on. They need doctors and nurses who are willing to have the hard discussions.” Sure. But providing patients with options, no matter how multifarious, doesn’t empower them unless they have sound, personal bases on which to make decisions. Before we call upon medical professionals with any kind of self-assurance, we need first to confront mortality. The Death Class illustrates the therapeutic effects of contemplating mortality—but despite our bravest attempts to face its reality, death is always something that happens to other people, at other times, in other places. It happens to C. S. Lewis’s wife in A Grief Observed (1961); it happens to Harold Brodkey in his AIDS memoir, This Wild Darkness: The Story of My Death (1996); it happens to Christopher Hitchens in Mortality (2012), and to Pat Kavanagh in Julian Barnes’s Levels of Life (2013). Death also happens to Little Nell, and as far as the reader is concerned these are all literary characters, undergoing literary experiences. There was a time when everyone knew they belonged to the death class. Immersing oneself in the death-and-dying genre may function as a kind of simulacrum of that era. The characters we encounter in these books stand in for the family and friends we used to lose with awful regularity; and just as people once looked to the church for advice on the art of dying well, secular society may turn to writers for the guidance doctors don’t currently provide. 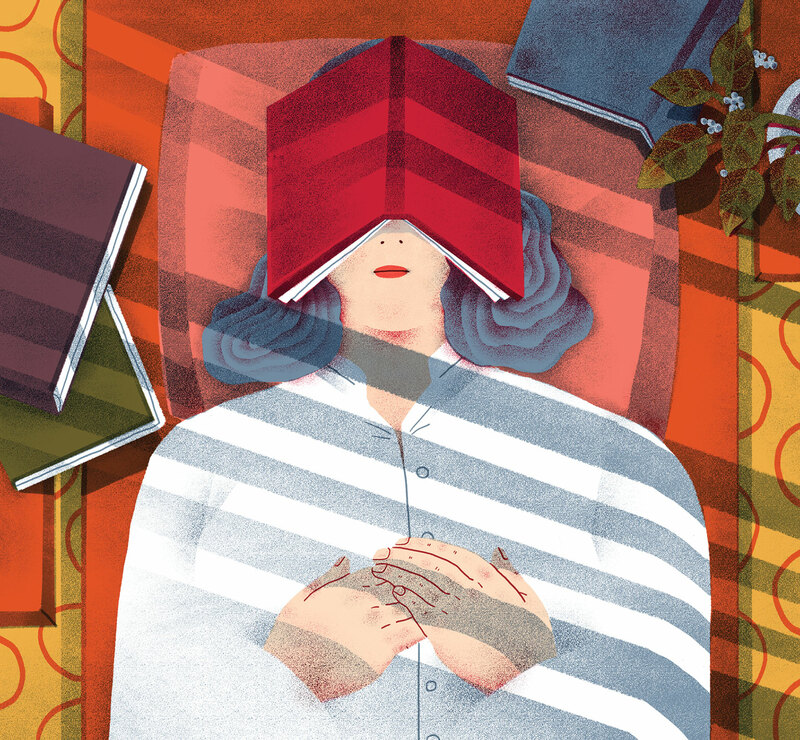 And yet, these books are oddly pleasurable to read, suggesting the genre’s ultimate limitation: reading about what makes us grieve is unlike grief itself. In all likelihood, Peter romanticizes death on a mountain: the reality of dying alone might have been frightening and painful. And yet the reader can’t help but see his capitulation as a tragedy. Peter comes close to achieving his own vision of a good death—not one as sentimental as that of Little Nell, but a far cry from an isolated basement in Ottawa or what Gawande calls the “borrowed, fluorescent place” of an ICU. We can’t help but wish he can have it his way, for, knowing nothing of what it means to die, and having been brought no closer by reading these books, we define a good death as we might a good life: as something self-determined. But then, perhaps this isn’t the criterion at all. Perhaps this will be the last thing we realize.